To create and cultivate happiness by offering supportive senior housing and services that promote independence, dignity, and choice. To bring joy and connectivity to seniors and families by serving as a partner in care and a conduit for shared experiences. To offer every team member a secure and growth-oriented environment filled with respect, appreciation and the opportunity to contribute. To be an active and supportive partner in our locations of operation to include volunteerism, community involvement and as an educational resource. To achieve a consistent pattern of service excellence and improvement, resulting in stable profits and growth. We are an Assisted Living senior community with a Memory Care community located inside the 285 perimeter. Our Decatur location started serving senior in December 2017. We strive to meet all social, physical and spiritual needs of our seniors daily. Our vision is to create happiness by offering the finest in senior living and services for seniors and their families. 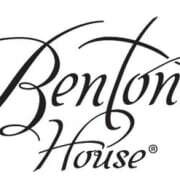 Would you recommend Benton House of Decatur?